With shows like Fixer Upper and Flip or Flop, you probably have a piqued interest when it comes to curb appeal for your own home. Trouble is, many of these home improvement shows have large budgets and skilled laborers. What can you do when you don’t have either? You’d be surprised! One of the easiest ways to increase curb appeal is to plant! Trees, flowers, bushes…. you get the idea. Pick something that fits your personality – whether it is a bright colorful flower or some low maintenance succulents. My recommendation is to pick something that is native to where you live. This is to ensure low-maintenance work in the future. Low-voltage landscape lights make a huge difference on a time crunch. 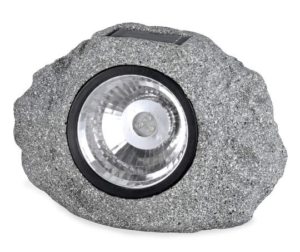 You can light up a path to the door or install light rocks to enhance the night appearance of plants while keeping your lighting equipment low-key. Maybe put one up next to the new tree you planted! 😉 Big Lots has nice, solar-powered ones at a great price. 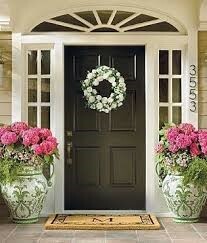 Paint the trim of the house or shutters. Paint the pottery in the yard. Paint in some new house numbers (or install new house numbers!). Paint an old outdoor picnic table, swing, chair, etc. I am not trying to patronize anyone, but these are simple ideas that often slip your mind when you are focused on “home improvement” in the Fixer Upper sense. Manicure the lawn! It’s not fun, HGTV material, but no one wants to look at weeds or untrimmed grass! Trim trees and bushes to ensure there is no unsightly greenery. Wash off dirt from sidewalks, porches, decks, even the exterior walls of your house. BAM. Instant curb appeal. You’re welcome. Ensure that all exterior lighting is working properly. One bulb outage can make a big difference! Add some new furniture. A new chair or porch swing on the front porch can make your home more inviting. A bright bird house in the lawn can make a quite the difference. If you don’t mind throwing some dough around, tackle some bigger projects that are not only aesthetically-pleasing, but make your home more functional. Check for the condition of the roof. If it needs replacing or repair, contact the appropriate people. Replace your home’s siding! Old wood, vinyl, etc. can really age your home. Here’s how to tell if you need new siding or if a coat of paint will do. You probably saw this shameless plug coming, but it’s relevant! Paint the outside of your home! Yay, exterior painting! Everyone’s favorite! Okay, maybe not your favorite, but it is ours! We are located in Breckenridge, Frisco, Keystone, Dillon, Evergreen, Vail… If you want to hire out the professional painters, you know where to find us! PreviousNew Paint or New Siding? NextInterior Painting: It’s All in the Prep Work!